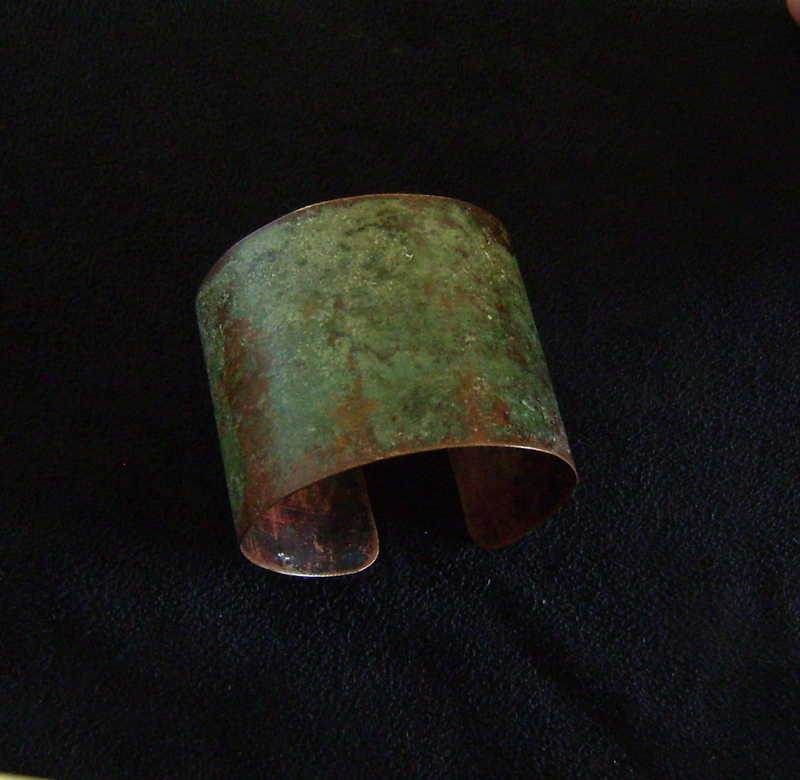 Design based on Bronze Age jewellery. 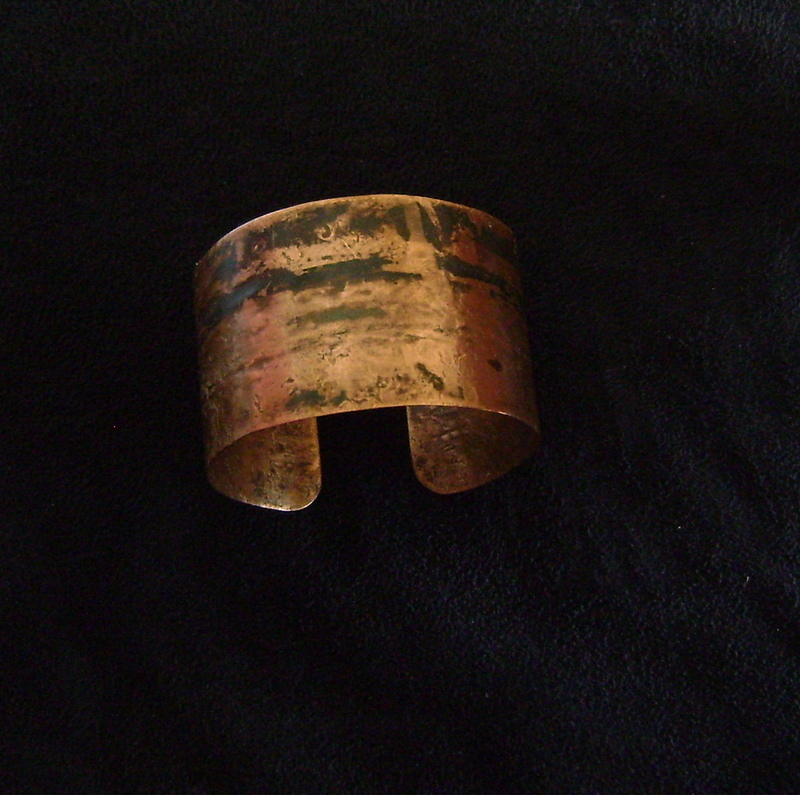 All natural patina & all handmade. See the Jewellery Page for more designs. A site for mindbending metalworks. 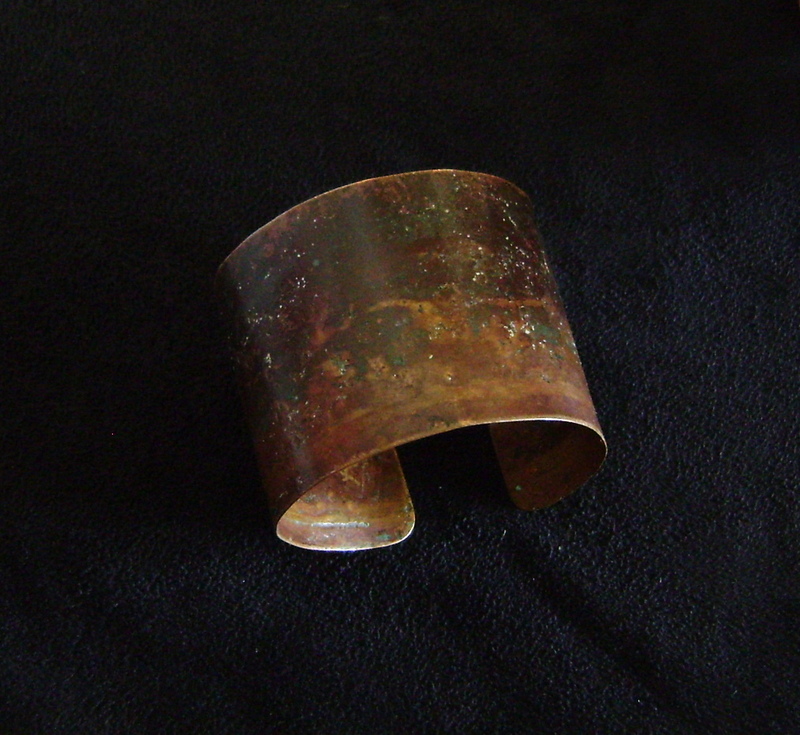 Handmade copper cuff with natural patina. 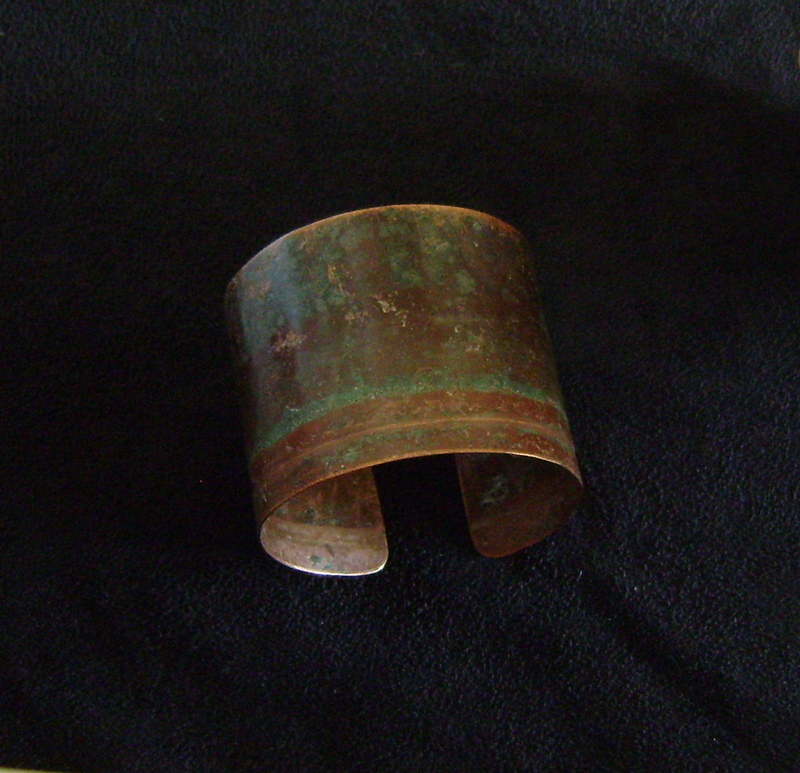 This piece of copper actually had been buried for over 50 years. It was used to cap the foundation of a building. It has an oxidized finish that you could envision as having been excavated from an ancient site. There are a limited number of cuffs from this sheet. This is a picture of a landscape that appeared as it was being prepared. 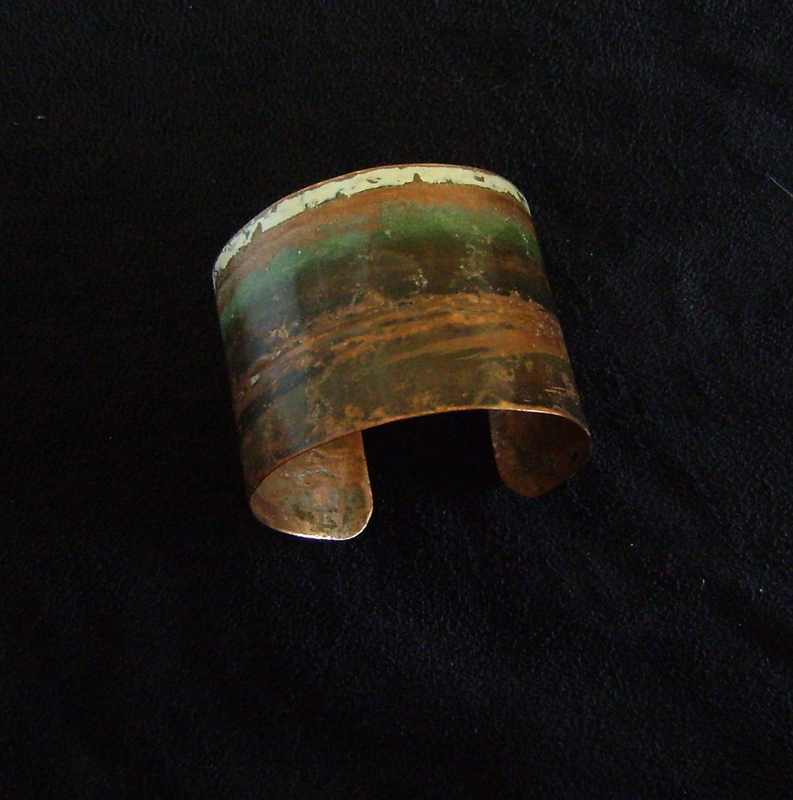 It was originally painted white but where the part of the copper was unpainted it was exposed to oxidation. You can easily see the earthen fields in the foreground with a grove of trees bordering it and a sky with white clouds above it. There are a number of cuffs from this sheet. A very handsome brown & green banded variation. 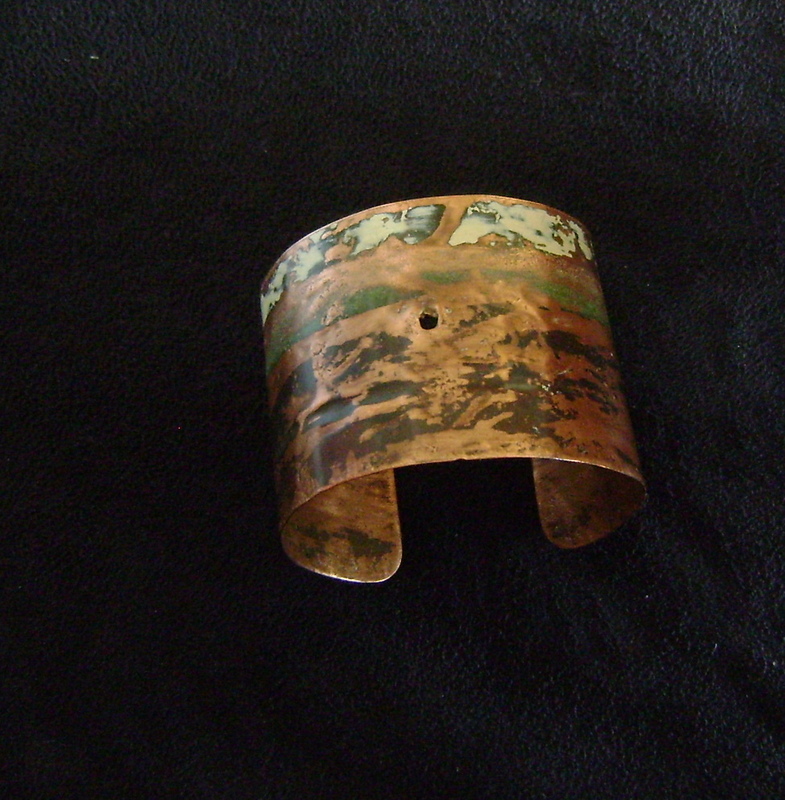 This, to us, is a special landscape cuff. There is an ancient philosophy, and in current rare remote areas, that holes are made to allow the movements of a spirit. Possibly a priestly or shamanic belief.